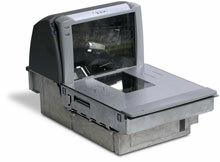 It is replaced by the Datalogic Magellan 8500 Omega. The PSC Magellan 8500 Series is the highest performing scanner/scanner-scale available for large volume point-of-sale applications. It is the first scanner to use PSC's new, ground breaking SurroundScan technology to aggressively scan all 6 sides of an item. 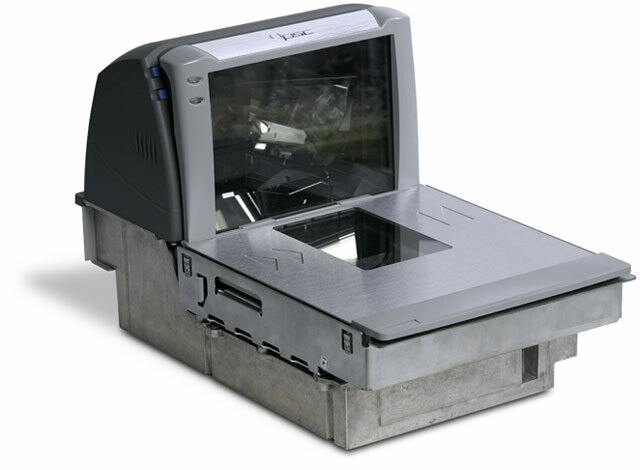 Competitive dual-plane scanners can only read 4 or 5 sides at once but the PSC Magellan 8500 Series can simultaneously read the bottom, top, and all four sides of store items. With SurroundScan, a barcode in virtually any orientation can be read with the first pass.